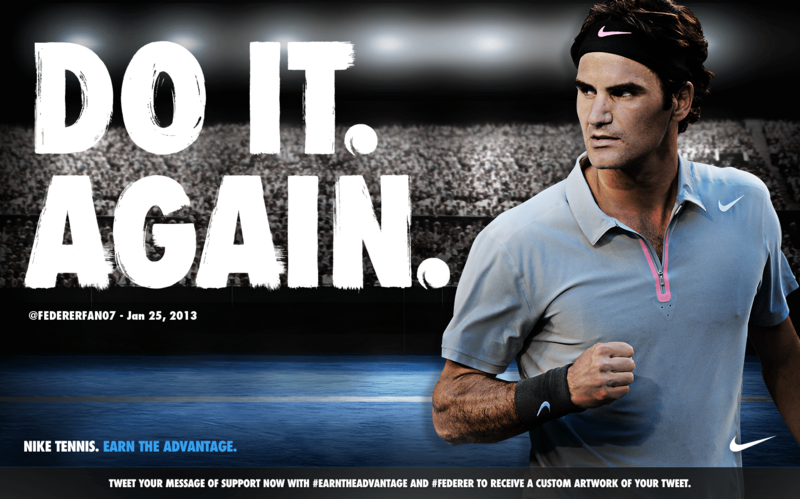 During the 2013 Australian Open, Roger Federer is sporting the latest gear from Nike, seen here. 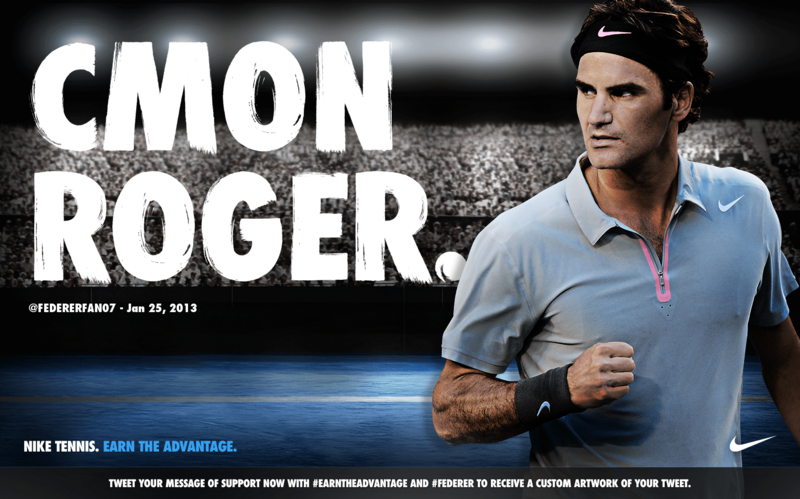 Standing behind the Swiss maestro are the most loyal and passionate fans in tennis. 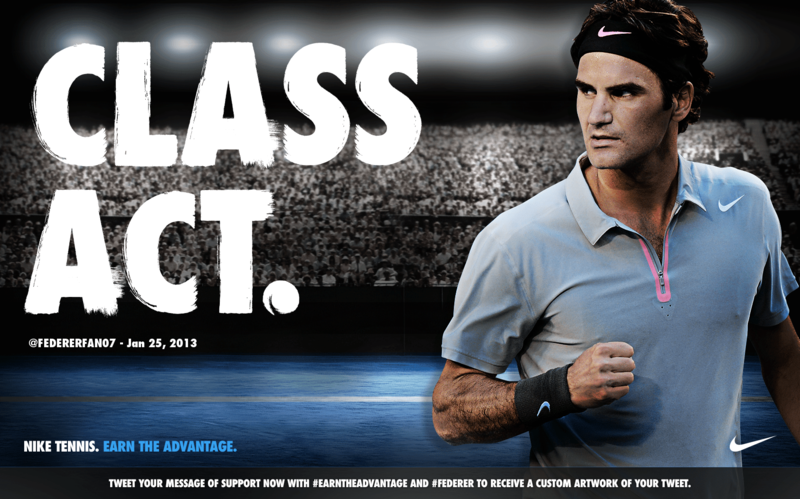 Thanks to Nike for specializing this poster of Roger Federer for FedererFan07. Effortless Grace On Court. Roger Federer. Earn the Advantage. Living Legend. Creating History. Roger Federer. Earn the Advantage. Capture the Moment. Seize the Day. Roger Federer. Earn the Advantage. Work Diligently. Go Farther. Roger Federer. Earn the Advantage. Shhh..Genius at Work. 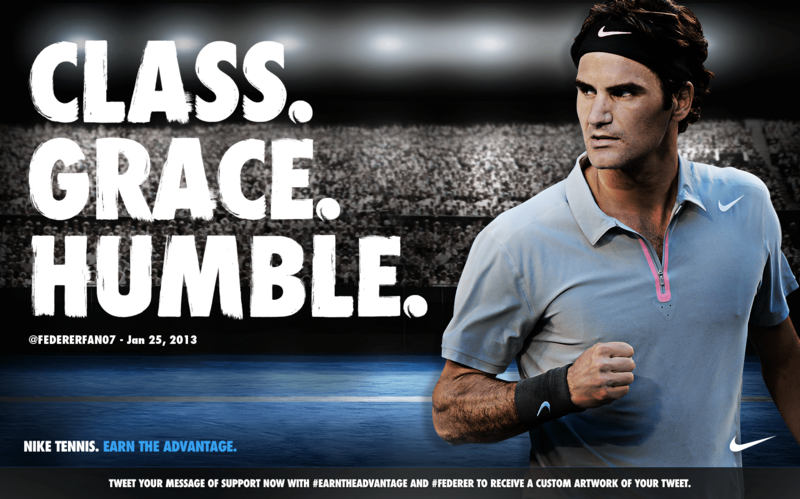 Roger Federer Earn the Advantage. Self-Belief. Roger Federer. Earn the Advantage. Do It. Again. Roger Federer. Earn the Advantage. Class Act. Roger Federer. Earn the Advantage. Just Do It. 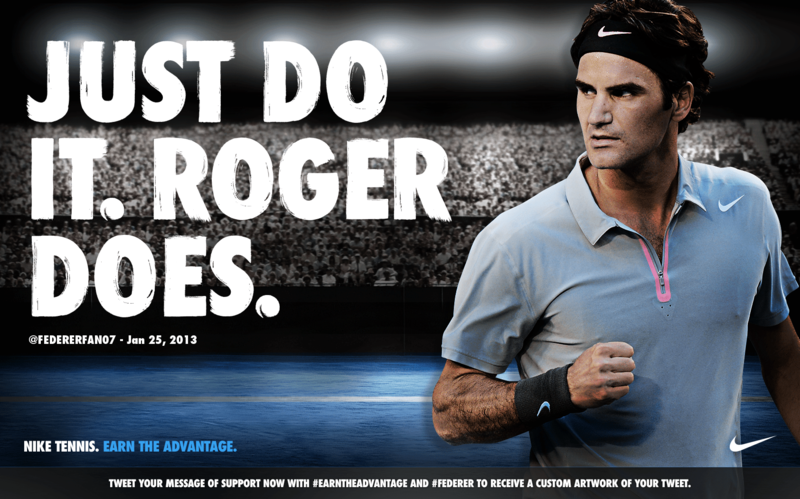 Roger Does. Roger Federer. Earn the Advantage. 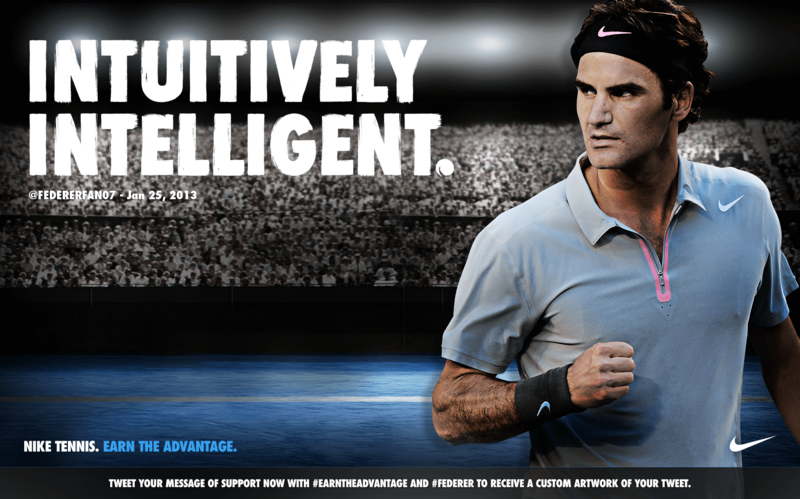 Intuitively Intelligent. Roger Federer. Earn the Advantage. Class. Grace. Humble. Roger Federer. Earn the Advantage. Dig Deep. Roger Federer. Earn the Advantage. 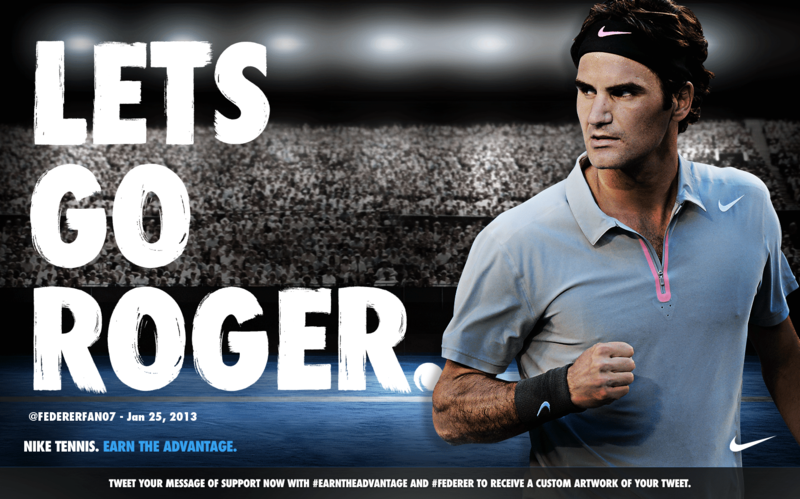 Lets Go Roger. Roger Federer. Earn the Advantage. 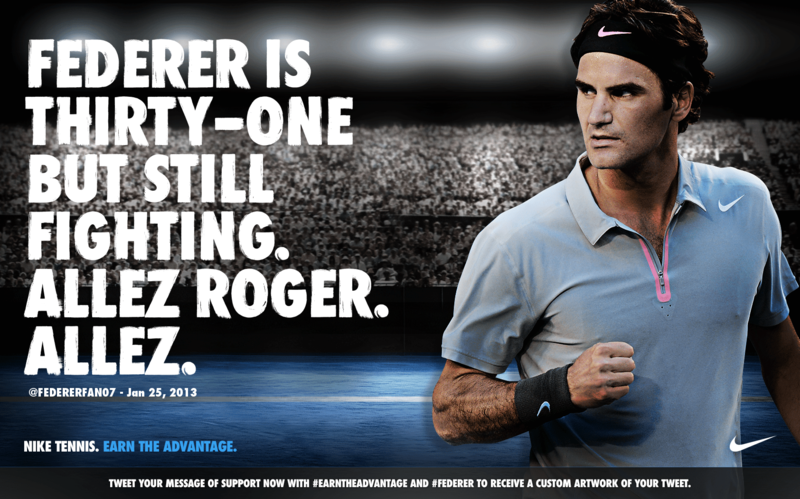 C’mon Roger. Roger Federer. Earn the Advantage. That’s it Roger. Allez. Roger Federer. Earn the Advantage. 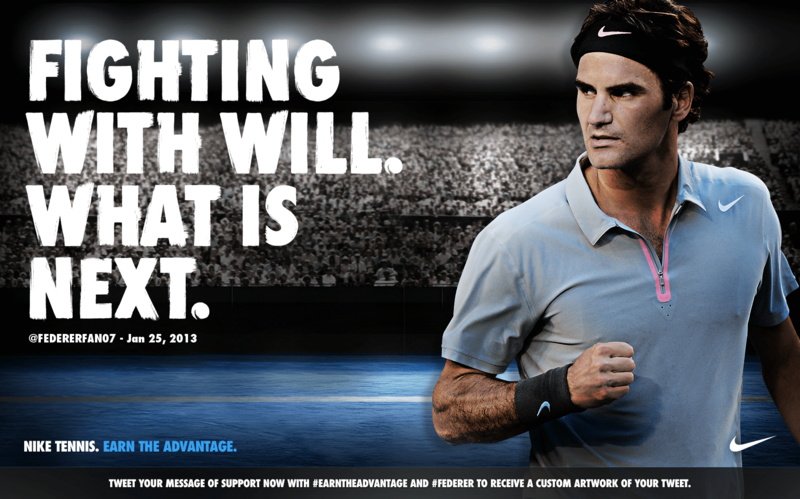 Federer is Thirty-One but still fighting. 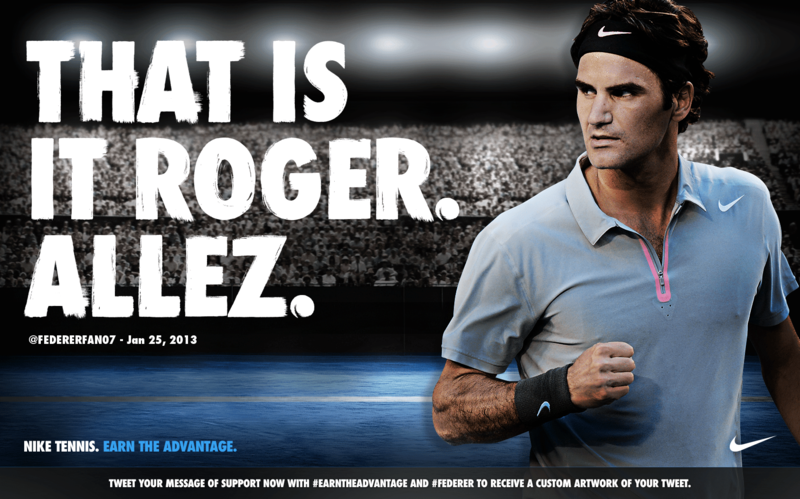 Allez Roger. Allez. Roger Federer. Earn the Advantage. Love Thirty. Comes Back. 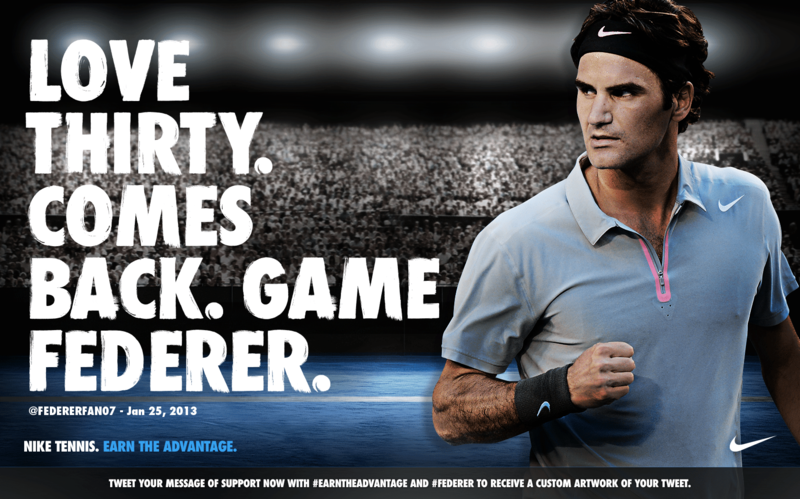 Game Federer. Roger Federer. Earn the Advantage. Fighting With Will. What’s Next. Roger Federer. Earn the Advantage.